THE MAGIC MALA by Bob Olson - A story that will change your life! If you liked The Alchemist or Celestine Prophecy, you'll love this book. Bob Olson has a novel titled, The Magic Mala. It's a fictional story that teaches what he learned about LIFE while investigating the afterlife! If you liked The Alchemist, The Celestine Prophecy or Way Of The Peaceful Warrior, you are going to love The Magic Mala. THE MAGIC MALA IS THE STORY of Robby Robertson, a down-on-his-luck writer who realizes that he doesn’t know as much about life as he once believed. His desperate financial circumstances lead him to open his mind to new ways of living. After finding some mala beads, Robby is taken on a magical journey that teaches him the secrets to personal manifestation and happiness. An inspiring novel that transforms the lives of its readers, this book will leave you fascinated and educated about the universal laws that govern our lives. It’s a story you'll want to read often to remind yourself of its wisdom—primarily, the magic of living a conscious life. More importantly, The Magic Mala will help you recognize the power you’ve always had but didn’t know was there: your inner ability to create the life of your dreams. 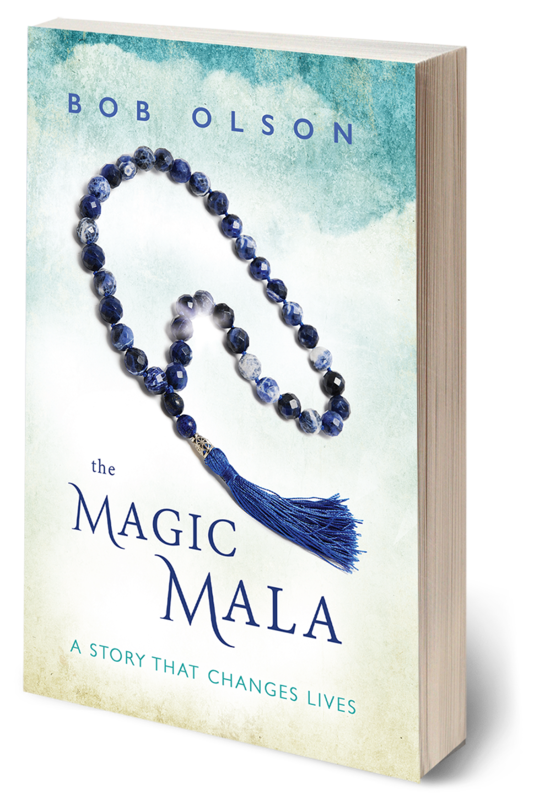 If you liked The Alchemist by Paulo Coelho, Way Of The Peaceful Warrior by Dan Millman, or The Celestine Prophecy by James Redfield, you are sure to enjoy Bob Olson’s, The Magic Mala. "A truly life enhancing book that I am honoured and excited to be making into a movie." "Synchronistic events, messages from the other side, unexpected encounters with wise teachers, and a path to prosperity using an unlikely tool, will leave you inspired to use what you learn from this story in your own life, too!" "The Magic Mala is that rare book that calls me to read it over and over again, each time strengthening my resolve to face and pursue my dreams. In its pleasant and straightforward story lies a powerhouse of uplifting inspiration and authentic ways to find your place in the Universe. It's simply life changing." "A magical tale, masterfully told. 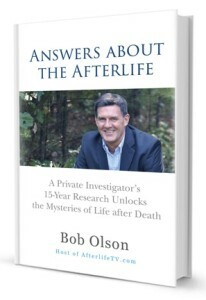 Good things come to those who know that no one has to wait, and Bob Olson shows us why in this superb, life-changing book."